As published by Seyfarth Shaw on June 29, 2015, Oregon is the latest to join the ever growing list of states which have enacted "Ban the Box" legislation. As of January 1, 2016, private employers can no longer require job applicants to disclose criminal convictions prior to an initial interview. If no interview is conducted, the law prohibits employers from disclosing criminal convictions prior to making a conditional offer of employment. Consumer advocates have long sought a revamp that would reduce errors on credit reports and make correcting them easier. Recently, a settlement was reached with the nation's three leading national credit reporting agencies, Experian Information Solutions, Inc., Equifax Information Services, LLC, and TransUnion LLC. The settlement provides that the companies will improve credit report accuracy; increase the efficiency to resolve consumer disputes of credit report errors; and protect consumers from the harm that medical debt may cause. According to a recent article published by the New Castle News Online (by John Finnerty, January 24, 2015), a newly re-written PA Child Protection Law which went into effect in January requires anyone working with or volunteering with children to submit to two state background checks at a cost of $10 each. In addition, all school employees and volunteers who have moved into Pennsylvania in the last decade must get an FBI criminal background check, which involves submitting fingerprints. All checks must be repeated every three years. 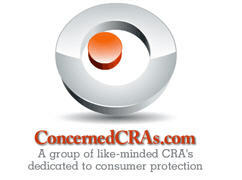 In an article recently released by the Federal Trade Commission (January 21, 2015, www.ftc.gov), a follow-up study regarding Credit Report Accuracy shows that one in five consumers found an error on their credit report which was corrected after a dispute process. Oftentimes, this correction led to a higher credit score, emphasizing just why it is so important for individuals to monitor their credit reports annually. An article posted by the Huffington Post (Mollie Reilley, 12/09/2014) highlighted the recent lawsuit brought against Uber by prosecutors in Los Angeles and San Francisco. Among other things, they allege that Uber is violating California Law with its fraudulent practices regarding the background screening of their drivers. It seems that Uber is not using fingerprints to conduct a LiveScan criminal check as part of their background check process, but is charging clients a $1.00 "Safe Rides" Fee which may give them a false sense of security.